Welcome to the Ranthambhore "City of Tigers". After arrival to Ranthambore, check in your already reserved hotel. After freshen up, Have delicious lunch and ready for visit to famous Ranthambore Fort. The trip of Ranthambore Fort is an optional and you can visit Ranthambore fort by your own vehicle. 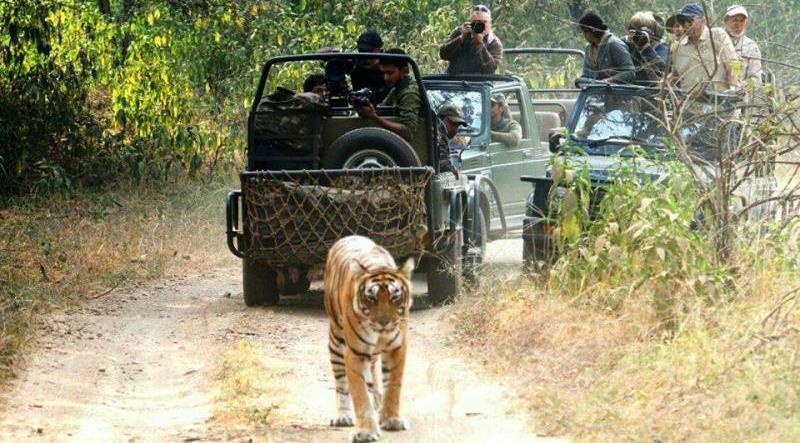 The travel to Ranthambore Fort gives you the experience of the jungle safari. After returning from the fort in the evening, you can enjoy at your wildlife resort or hotel in-house activities including swimming pool, cooking and indoor games etc. Have your flavored dinner with flickering stars and wild voices and relax in the hotel overnight. Get up early in the morning, because it's time for your morning jungle safari. After taking some tea & coffee, you should be ready for the jungle safari. Take your seat in safari vehicle which is run by forest department. During the jungle safari, you will be taken to the park by only safari vehicle, it is forbidden to get off the safari vehicle in the forest. The time of the park excursion in Ranthambore is about three and half hours. After a morning jungle safari, enjoy a pleasant breakfast in the hotel restaurant. Check out after breakfast and return to your home with sweet memories. - Accommodation for 01 Night. - 1 times Jungle Safari as per the itinerary. - National Park permit, Entry fees. - Forest expert guide at the time of Safari. Ranthambore National Park is famous for tigers in the Indian subcontinent, where tigers dominate the forest. Ranthambore is the nearest wildlife tourism destination from Jaipur and it is around 170 km away by road. It is located in Sawai Madhopur district, situated between the Aravali and Vindhya hills of southeast Rajasthan. It is a home away from home for wildlife lovers for a long weekend getaway. In Rajasthan, it has an extensive land of approx. 400 square kilometers, where these majestic animals inhabit. Tiger is a territorial animal and due to the good population of tigers in Ranthambore, tigers can be easily seen during the jungle safari in Ranthambore National Park. However tiger sighting in wildlife sanctuary is a matter of fate, but Ranthambore is one of the best tiger reserves in India where you can see the tigers in their natural forest habitat, and enjoy weekend getaways with your family and friends. A jeep safari in Ranthambore National Park is not just an exciting adventure but it is a chance to explore wildlife in its best form. Jungle safari in Ranthambore is such a way to explore wildlife which creates awareness among people to preserve endangered species. Ranthambore is also known for many historical structures, including the majestic Ranthambore Fort, several old temples, mosques, Chambal River for Gharial sanctuary, lakes for bird watching and old hunting pavilions in the Park.